KROQ-FM has three transmitters. 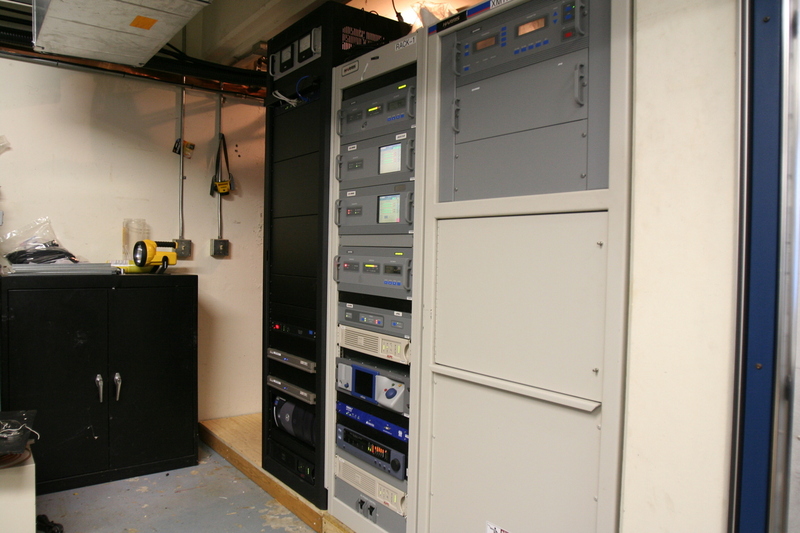 This Harris Z10FM is the most recent, manufactured in 1999; it was installed for KROQ's IBOC build-out. It's serial number MP01871-000004, for those keeping track.